If there is one product that has seen a rapid development it’s the jacket. 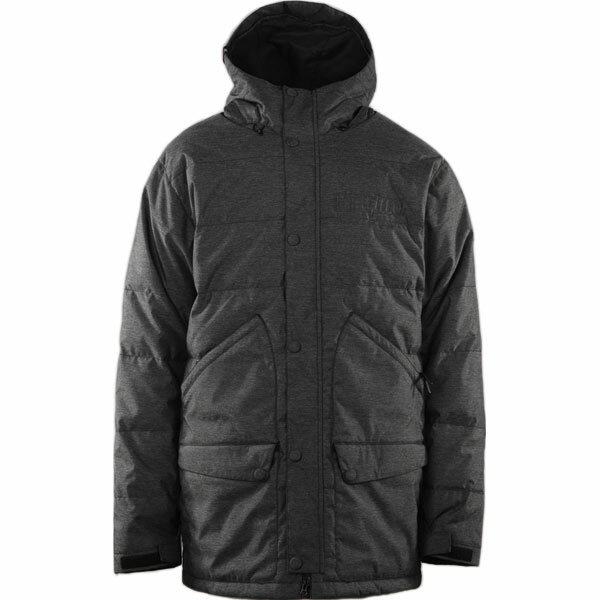 Fifteen years ago an outdoor jacket was generally green with a hood, now the difference between fashion and functionality has become very blurry. Fashion is taking over inventions from the outdoor arena, while outerwear is more than ever taking into consideration color and design. The extremes of fashion and functionality now seem to have reconciled for good. What has not changed is the function of the outer layer in the three-layer system: the water and/or windproof layer which protects against the elements while releasing the moisture which comes from performing the activity. Nowadays jackets do this with a multitude of fabrics, laminates, coatings and constructions. Each with its own price and specific advantages and disadvantages. Actually bad jackets are not being sold anymore, but not every jacket is suitable for each adventure or activity. So read on. You should try to find the optimal balance between these four factors which keep you warm without adding too much weight. The added advantage of layers is that you can add and delete layers during the day according to how you feel and the weather conditions. Proper pre-departure planning will ensure a perfect trip. A jacket needs to be waterproof. The ISO norm defines when a piece of clothing can be called waterproof. Generally clothing may be called waterproof when it can bear a water column of 120 to 150 centimetres (4 to 5 feet). For comparison: the best jackets can withstand a water column of tens of meters. The water column test is performed by placing a tube on a piece of fabric. The tube is filled with water until water droplets form on the other side of the fabric. Subsequently the number of centimetres of water is measured in the tube. Aside from the qualities of the fabric two other factors are of importance in determining the waterproof qualities of a jacket: 1) all the seams need to be closed with tape; and 2) the construction of the jacket should prevent water entering. This means that the zippers are covered; inner layers are not water absorbent and the usage of waterproof fabrics throughout the coat, etc. Wind strongly influences the temperature within the jacket. Aside from this being uncomfortable, it also negatively influences the breathing quality of the outer layer. Different from fleece jackets windproof-ness with jackets is not an issue. 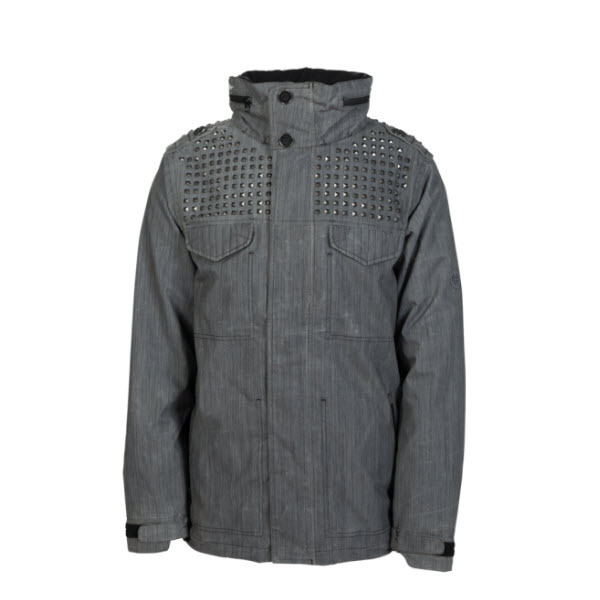 If a jacket can withstand a water column of tens of meters it is usually also windproof. Even while resting, a person looses daily more than half a litre in fluids through its skin. While performing an activity you do not want lost liquids to appear back in the form of condensation on the inside of your jacket. To release the moisture a jacket needs to be able to ventilate or breathe in outdoor speak. Not through holes but through the fabric itself. This is not very difficult as cotton and nylon are already breathable fabrics. The difficulty arises in making the fabric waterproof as well. This seems very exotic but there are many different layers which can achieve this based on a simple physics principal. Beneath the jacket the temperature and humidity is higher than outside. This creates a pressure whereby the moisture is pushed outside. Functional outer jackets are called 'shells'. These jackets are generally part of a three-layer system. The shell forms the outer layer of the three layers. Such a specific jacket is in perfect harmony with the second layer, usually a shirt or fleece and the first (base) layer. In other words, it is important when buying a jacket to consider what you are going to use it for. When using a jacket to protect against the rain on a spring or autumn walk the heat saving properties of the jacket are less important. It is more important that the shell protects against the wind and sheds excess moisture. However if you're going through the jungle and need protection against a tropical monsoon you may want a genuine waterproof jacket. The choice between a jacket and shell is up to you. Snowboard pants are worn on top of your base layers. A good pair of Snowboard Pants should keep you warm and dry and should have basic padding on the knees and the rear that will prevent melting snow from seeping through. Snowboard pants are usually roomy. Still, make sure you don't feel any pinching in the crotch area. Otherwise, look for another pair. Don't even think of using denim pants, especially on your first day on the slopes. Remember, as a beginner, you are most likely to be spending a lot of time either on your knees or your behind. If you're wearing denim pants, the snow will melt and soak into it, freeze, then melt again, then freeze again, etc… until you get inside and dry yourself thoroughly. Cold and wet is not a good way to learn, warm, dry, and comfortable is. New styles of snowboard pants in the market can also be worn as regular pants. In fact, some even look just like a pair of regular pants. When shopping, pick the ones you like. But make sure it has the features you want. Remember, light clothes are just that - light. Although they are often very warm and easily layered, light clothes are not very protective against harsh weather.